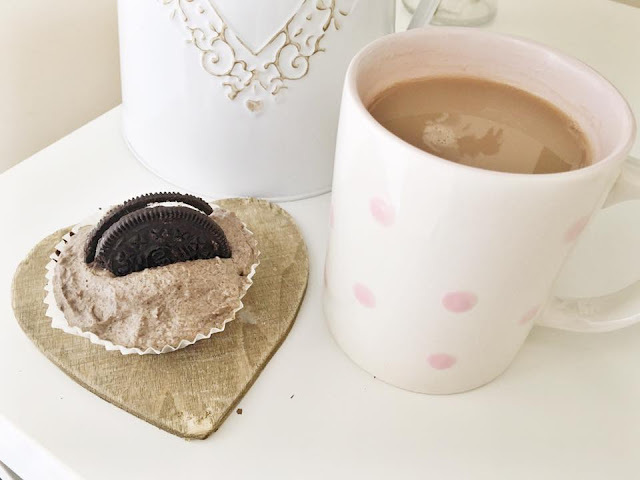 So its Saturday and I am having a girly pamper day with my bestie Sam, we wanted to do some baking so we decided to bake the Tanya Burr Oreo Cupcakes. As many of you may already know Tanya Burr is rather good at baking, so much so she has released her own baking book (which I still need to buy). I thought I would share the recipe with my lovely readers incase you haven't already seen it, as it is so good! 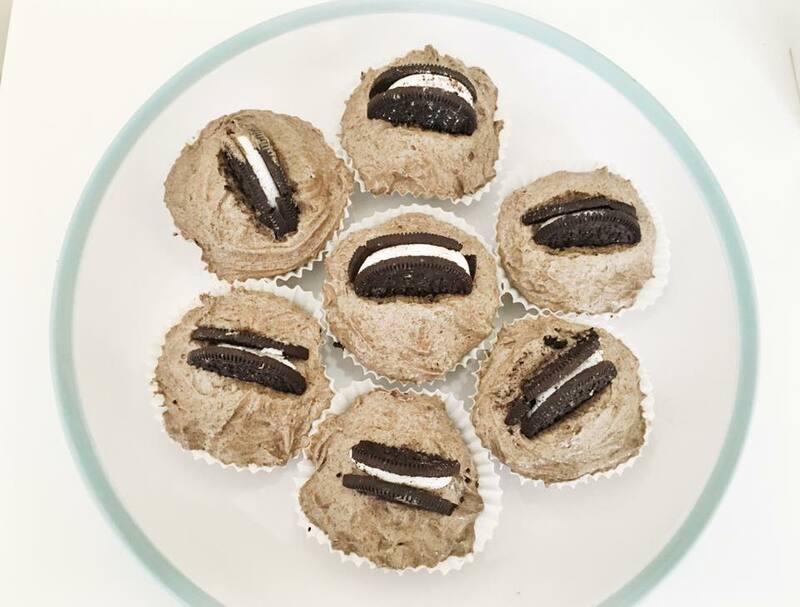 lets face it..Oreo cupcakes, it doesn't get better than that! You will need the following ingredients..
Start by pre-heating your oven to 180ºc and putting the cupcake cases into your tins. You then want to beat together your butter & sugar until the mixture looks light & smooth. You then want to add your 3 eggs and beat into the butter & sugar mixture, I personally like to use an electric whisk but you can do this by hand. Next, you want to sift and fold all of your dry ingredients into the mixture. 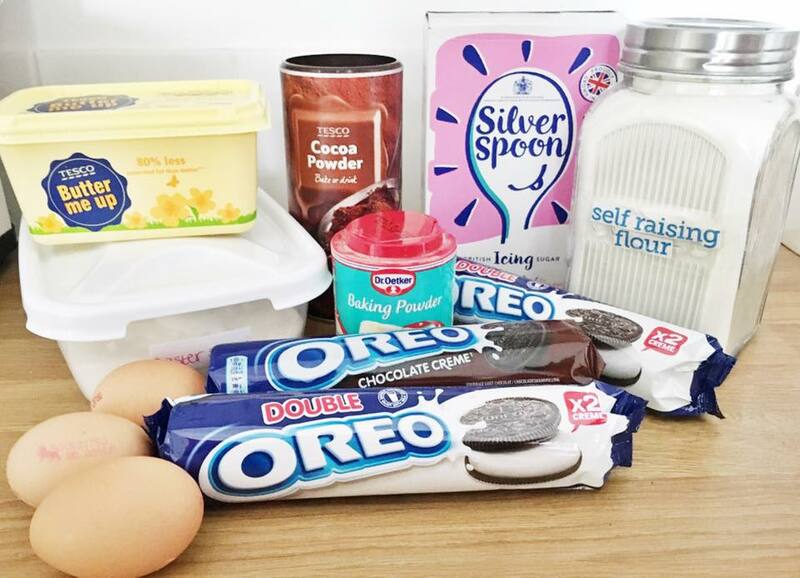 Once all of your ingredients are combined you then want to pop an Oreo into the bottom of each cupcake case and then cover each equally with your cupcake mixture. You then want to put your cupcakes into the oven for 14-17 minutes, or until a knife comes out of the cupcakes clear. Whilst your cupcakes are in the oven its time to make the frosting. First you need to mix together your butter and icing sugar, again I like to use an electric whisk as its much quicker but you can also do this by hand preferably with a wooden spoon. Then crush half a packet of Oreos, I did this in a blender because it is quicker but you can also use a sealed bag and a rolling pin, once you have done this you can stir your Oreo crumbs into the buttercream and voila the frosting is done. Now for the fun bit! once your cupcakes are cooled to room temperature you can start covering them with the frosting, I used a tea spoon to do this but you can also pipe the frosting if you would prefer. Finally you can add an Oreo to the top of the cupcake to make it look cute and pretty, I had to cut them in half because I used smaller cupcake cases. I'll definitely be buying bigger ones next time!